Most projects begin with an idea and a computer generated design tailored to your needs. The project and its components are carved on a CNC machine if necessary, and then further hand-carved, sanded, assembled and have suitable finishes applied. 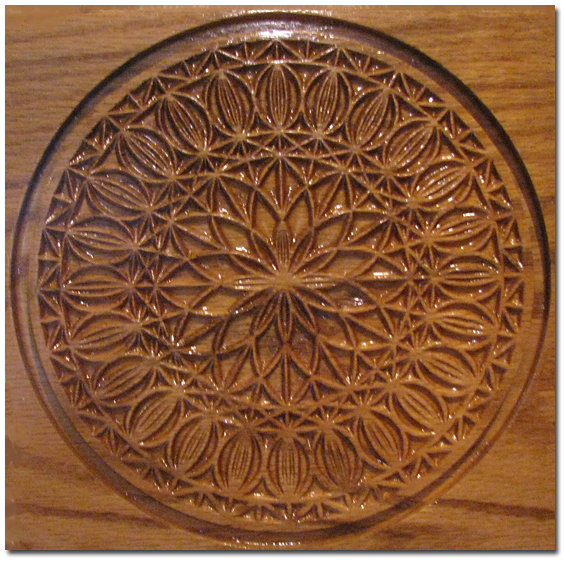 The final result is a beautiful piece of carved art that will last years on end. Each project is unique and done one at a time. Since they are custom, no two pieces are exactly alike. This is especially true for the variety of keepsake, candy and jewelry boxes available. Hand assembly and finishes require the skill and imagination that we possess to give you a beautiful and lasting professionally-crafted piece. For signs, you can browse the standard shapes section on our Products page but virtually any shape can be created. Samples of our work can also be a source for your ideas. 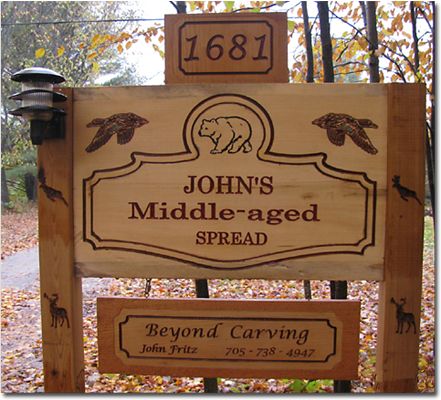 A variety of images can also be added to your carved sign (moose, horse, fish, trees, ducks, etc). 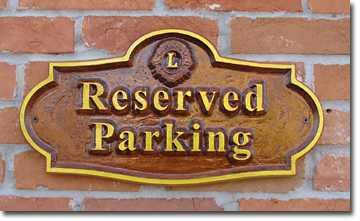 The signs and sign-art come in a wide variety of styles and sizes. 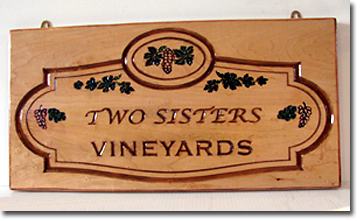 Choose from signs for your home, farm, boat, cottage, business, just-for-fun, religious (e.g. Last Supper), sayings, adages and more. Thank-you for visiting the Beyond Carving website. We look forward to working with you to create a striking piece of carved art that will be cherished for years to come.